Platelets are cells that are a part of your blood, and their role in the body is to promote the clotting and healing process. Platelet rich plasma (PRP) is a concentrate of your own blood that contains high numbers of platelets. It can be placed or injected into a certain area to exploit the platelets function and therefore enhance wound healing and to help rejuvenate skin. Because it is a part of your own blood, it is free from transmissible diseases, and cannot cause hypersensitivity or allergic reactions. The process involves the withdrawal of blood in the usual manner, separating and concentrating the PRP from the whole blood, and then injection of the PRP into the treatment area. Platelets are cells in blood that are responsible for helping to clot the blood, and for the synthesis and release of growth factors. When there is an injury to the skin (and blood vessel walls), proteins are released that cause circulating platelets to bind to the area and help create a blood clot to stop the bleeding. It is the clotting process that activates these platelets, and causes them to secrete growth factors to help repair the damaged area. The use of PRP harnesses the properties of platelets to enhance wound healing and skin rejuvenation. PRP has approximately 4 to 7 times the normal concentration of platelets in whole blood, and at this level has been clinically proven to provide clinical benefits. Whole blood contains approximately 94% red blood cells, 6% platelets, and less than 1% white blood cells. Platelet rich plasma contains 94% platelets, 5% red blood cells, and 1% white blood cells. It is the high concentration of platelets in PRP that increases the amount of growth factors delivered when placed or injected into a certain area. PRP has been used in medicine for accelerating the healing of injuries, either surgical or traumatic. Examples include use for; tendon injuries, orthopaedic surgery, dental surgery, and more recently cosmetic surgery. Many high profile athletes have used PRP to get ‘back into the field’ quicker or to avoid what would traditionally have had to be treated with surgery. At MPM Aesthetic Medicals, we use PRP to reduce healing times from laser skin treatments, skin rejuvenation, and to improve the uptake of transferred fat. Treatments such as laser skin resurfacing often take several days to recover from, and PRP can help to reduce these times. It is injected just under the skin of the treated areas, and the growth factors that PRP releases help to reduce recovery time, speed healing, and even improve the final result of the laser treatment. Skin rejuvenation can be performed simply by injecting PRP into the skin. 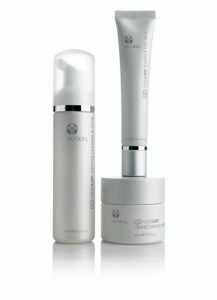 It is effective at improving the overall skin quality, including improvements in fine lines and skin texture. PRP is used for fat transfer at MPM Aesthetic Medicals. Fat transfer is a procedure that involves the harvesting of (your own) fat by liposuction and then the transfer of this fat into another area, such as the face. There is always a percentage of the fat that does not survive this transfer. By the addition of PRP to the fat prior to transfer, the rate of survival increases as the growth factors in PRP help the fat to survive and gain a new blood supply. The first step in the PRP process is to obtain a small amount of blood. This is done in a similar manner to a blood test. The amount of blood required varies depending on the area that is treated, but typically, not more than 50mL of blood is required in most cases. The next step is to separate and concentrate the PRP from the rest of the blood products (e.g red blood cells). This is done by placing the blood taken into special vials and spinning the vials in a centrifuge. The heavier cells, such as red blood cells, drop to the bottom of the vial, and the plasma that is ‘rich in platelets’ is left at the top of the vial. Once PRP is separated, it is extracted, into a syringe. Just prior to injection, calcium chloride is mixed with PRP, and this activates the clotting cascade, and subsequently this activates the platelets, and causes them to secrete growth factors when injected into the treatment area. What is Micro Needling Procedure? in depth from 0.25mm to 3mm using a “micro-needling device”. Advantage of the device is elimination of “pain factor”. Simple meaning is, it makes PRP treatment a pain free procedure. Ability to treat multiple layers of skin in depth of 0.25mm to 3mm. Ability to treat sisitive areas – such as “eye lids” , around eyes, around mouth , nose to rejuvenate. Micro-needling procedure initiate a healing process stimulating collagen and elastin that help rejuvenation. At MPM Clinics PRP with Micro-needling procedure is used for treatment of hair loss,scaring,stretch-marks,rejuvenation etc. Please book a FREE consultation with an MPM Clinic to know more about treatments and combinations. The price of PRP will depend on the application. Combination therapy with laser treatments, skin needling, or fat transfer, entitle you to a 20% discount on the cost of PRP.